The Legenfire Pump-Action Powershot Blaster will please both parents and kids alike. It comes with 18 Super Darts that has the ability to shoot up to 80 feet, and equipped with fun features it is offered at an affordable rate parents can appreciate this holiday season. You can get children ages 8 and up this fun blaster for about $15.99! Colorful and appealing look with a sleek slim finish, great for easy storage. 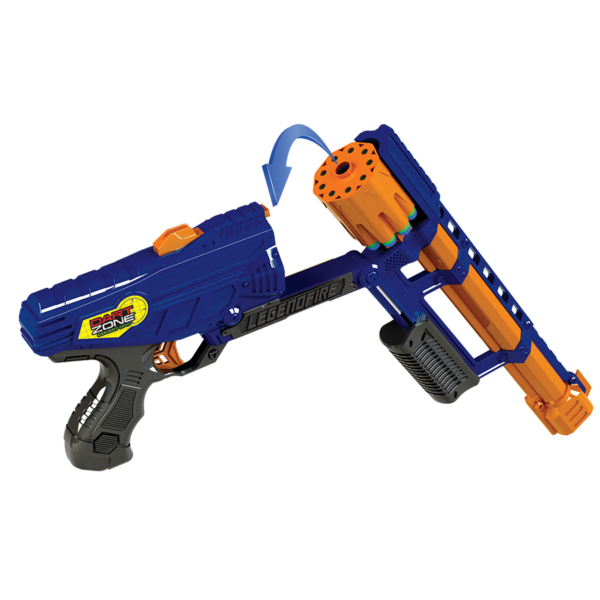 My son is a huge fan of blasters like this one, he really likes this one. Not having to pause to load, children will play for longer time with the ammo cartridges, they can load the colorful ammo less often. It has a fun release switch and interchangeable drum which kids will love. Giving you more for your money, the darts are compatible with other leading brands you may own already like Nerf darts. 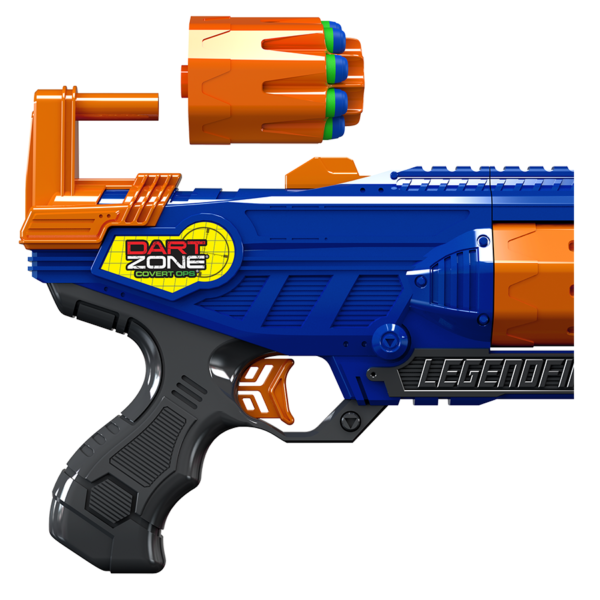 The Legendfire Pump-Action Powershot Blaster takes aim at being in the top of the class. 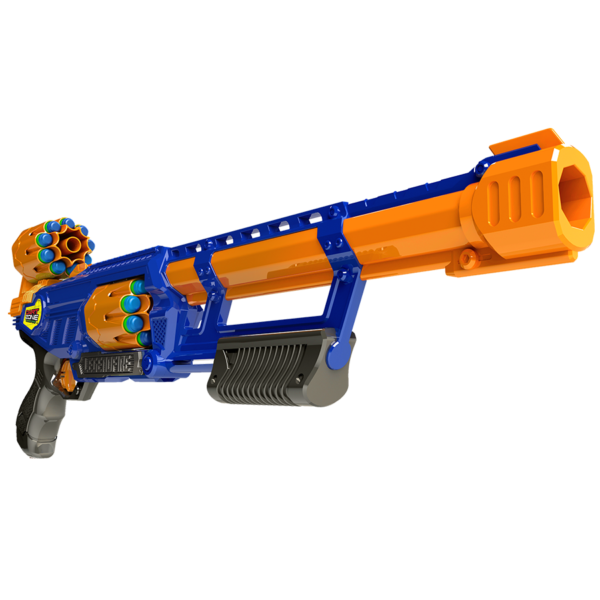 This Slamfire Long Barrel Blaster is powered by an interchangable automatic revolving drum. Comes with two ammo cartridges for a quick change-out throughout the battle. 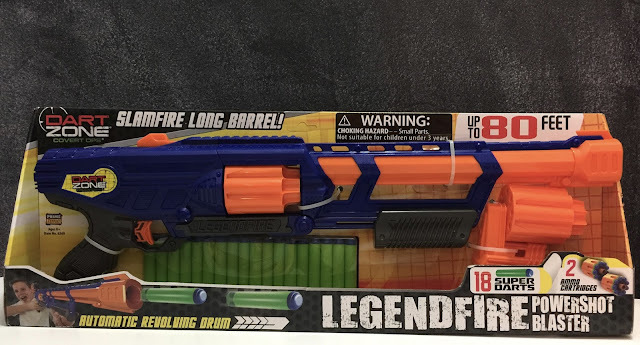 The Legendfire features 2 Ammo Cartridges and 18 Super Darts for maximum shooting distance up to 80 Feet! My son is a huge fan of blasters like this one, this is a great addition to the collection. Great gift idea for those ages 8 and up. • Darts Fly up to 80 Feet!